Boyd graduated from Washington State University in 2010 with a Bachelor of Arts in Social Sciences. In 2012, he completed a Master of Arts in Psychology at Seattle University. Then 2016, he completed a Master of Science in Psychiatric Mental Health Nursing. Boyd has been working in the mental health field for nine years. He started an internship in his senior year of college at Parent Trust for Washington Children as a Family Help Line Counselor. Subsequently, he has worked as an outpatient psychotherapist, a residential counselor, and an Applied Behavioral Analysis technician. Boyd also has a background working as an RN in psychiatric hospitals. 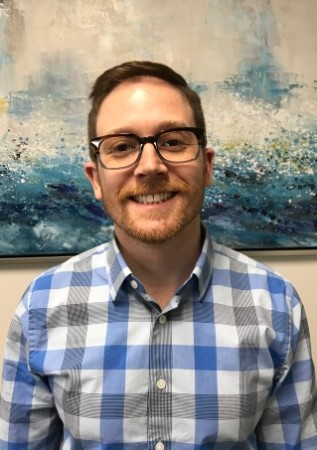 In addition to working with students at University of Puget Sound, Boyd works in several inpatient programs for patients with severe chronic mental illness. He also works at Center for Discovery, an eating disorders program in Tacoma, and has a private practice with offices in Olympia and Tacoma. Boyd enjoys the diversity of working with a wide range of psychiatric disorders and people from all walks of life. His background in psychology includes training in existential-phenomenological and cognitive behavioral psychology, as well as motivational interviewing. As a clinician, Boyd strives for a client-centered, humanistic approach that recognizes the uniqueness of all individuals and treats every person with dignity. After graduating from high school, Boyd took several years off from college to play in his indie rock band from Albuquerque, NM, touring throughout the SW and West Coast. Over the years, Boyd continued to record music and play live shows. Though his passion for music is alive and well today, these days he prefers listening to music rather than playing it. He also enjoys playing tennis and spending time with his family and beloved dog.